Mr. Stephen Byrd graduated from Ripley High School and has taught History and has coached football and baseball here. 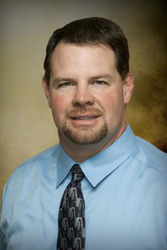 He has served as the athletic director and assistant principal. Stephen holds a Bachelor's Degree in Secondary Education from the University of Tennessee at Martin and a Master's Degree in Administration and Supervision from the University of Tennessee at Martin. Married to the former Kim Brasfield, they have two sons in Lauderdale County Schools.